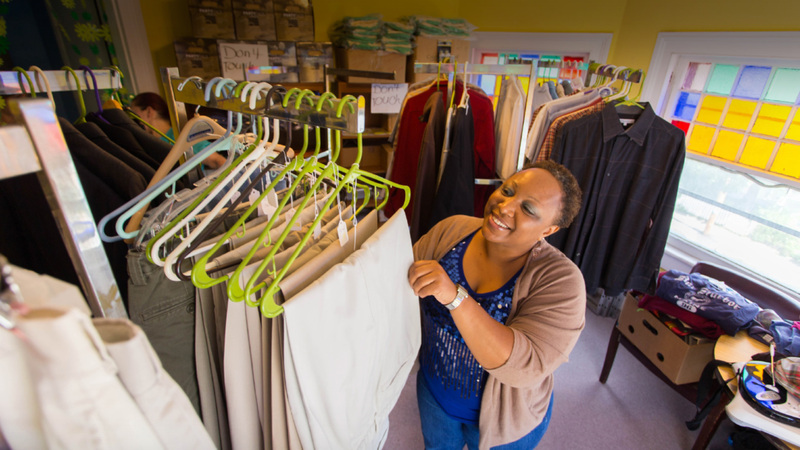 Bridge House helps adults with persistent mental illness reintegrate into their communities, regain employment and advance their education. Our programs focus on the member as a whole – helping them to build skills, develop positive social relationships with fellow members, and leverage their talents to achieve a better quality of life. Our Housing Program encourages members to advocate for their own rights and also connects them with resources to secure safe shelter. Our Employment Program offers members the opportunity to gain internships and transitional employment. We are proud to report that Bridge House members have been known to progress from these positions to become permanent part-time and full-time employees of the companies who helped them build their skills and take the first step towards regaining steady employment. Through our Employment Program members are supported in attending or returning to school through individual and group support systems with academic goals including tutoring and computer skill development. At Bridge House, we also place a strong emphasis on member education, which spans from working alongside staff to keep the Clubhouse running to participating in motivational workshops led by members of the Fairfield County and Greater Bridgeport communities. If you or someone you know could benefit from the programs Bridge House offers for adults with persistent mental illness, please contact us.